For SHIMA SEIKI Embroidery Machines. Also Could Fit TAJIMA, BROTHERS, BARUDAN, HAPPY, CNC, ZSK, SWF, BROTHER, SHIMA SEIKI, MULLER.... More ! Same Size, Same Connections as your Original Floppy Driver. Eliminate your need for 3 ½ floppies with this 3 ½ floppy-to-USB disk drive! 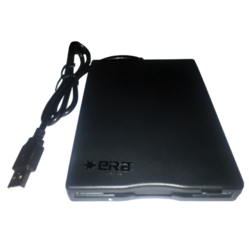 Our 3 ½ floppy disk drive to USB flash drive reader converter will replace your existing floppy drive with an independently operated USB flash drive reader. No additional changes to your system are needed besides removing the existing drive and replacing it with this drive. Charmilles Roboform 20/30/31/35/40/41/50/54P, Charmilles Robofil 200/290 /300/310/400/500/2020-SI/2030/4020/6000/6020. This is 3.5 inch Floppy Drive Emulator (Floppy to USB Converter). 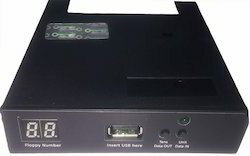 Floppy To USB Converter for Charmilles Machine, For Data Transfer, Dimension/size: 3.5"
Old Floppy Drive Solutions.This is USB-Floppy Drive Emulator (Floppy to USB Converter) for Tajima TMFX, TMEX embroidery machines with 26 pin YD-702D-6639FD1138C, FD1138Tany Jumpers Floppy Drives.